It seems that everyone these days is talking about “governance.” But what is it, really, and how can you make good governance usable in your agency? The federal government developed the Digital Government Strategy to deliver better Web services to the American people. The strategy is based on the notion of focusing on customers—the American people—and their needs in terms of providing access to high-quality digital government information and services anywhere, anytime, on any device. 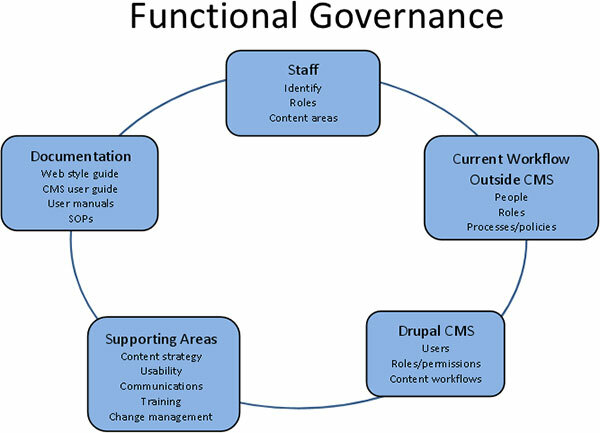 Governance offers a practical, supporting framework for managing the myriad of content, applications, services, and platforms for managing this complex endeavor. Guidelines were developed for governance using agile methods in response to the Strategy. This case study provides examples of implementing digital governance from experience with Project Evolve for SAMHSA.gov. The Substance Abuse and Mental Health Services Administration (SAMHSA) is an agency within the U.S. Department of Health and Human Services that leads public health efforts to advance the behavioral health of the nation. Project Evolve (PE) is the Web transformation and modernization project within SAMHSA. Begun in late 2011, Project Evolve is an ongoing effort to improve and consolidate the SAMHSA.gov website. Site migrations and transformations happened throughout fiscal years 2013 and 2014. Entering fiscal year 2015, the PE Team turned to its governance matters in earnest to help create enterprise-wide solutions that support the goals of the Digital Government Strategy. At the start of this fiscal year, the PE Team realized that challenges existed in and across multiple work areas. This was because each governance area had some relationship—an interaction, interdependence, or coactivity—with some other governance area or areas. As we migrated content from dozens of SAMHSA-owned sites into one integrated site, SAMHSA staff needed to be operating in a new paradigm. In the course of identifying content owners, we needed to determine the scope of their content and their roles and responsibilities, both outside and inside the Drupal Web content management system (CMS). 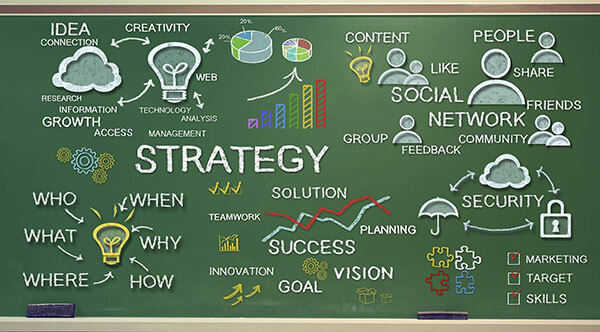 Of course, all of our supporting activities would be impacted, including usability testing, communications and change management plans, content strategy, and training programs. And, we needed to coordinate across teams. Focusing on the functional governance areas aided immensely in our ability to help SAMHSA model solutions that supported the goals of the Digital Government Strategy. Illustrating the enterprise-wide governance areas in this way helped make real the issues, risks, and dependencies for SAMHSA’s Project Evolve. They were, quite literally, staring us in the face. The Governance Convergence strategy led us to tactics we could implement right away across multiple functional areas. We are doing that now through active work groups and cross-functional teams that focus on near- and long-term issues and plans. As a content team lead working on SAMHSA.gov, I see every day how governance success is not a destination but a critical business process, with many milestones along the path to improvement. Near-term successes include closer coordination and communication efforts among functional work areas and teams; and enterprise questions being recognized sooner and moving up the chain for quicker resolution. We anticipate a key long-term success being better management controls and touch points over enterprise-related project activities. At SAMHSA, good governance ensures better outcomes. Website Governance article at WikipediaRobert Jacoby, MIM, is a Lead Content Consultant at Aquilent. He works as a content team lead and project management support for Project Evolve on SAMHSA.gov.